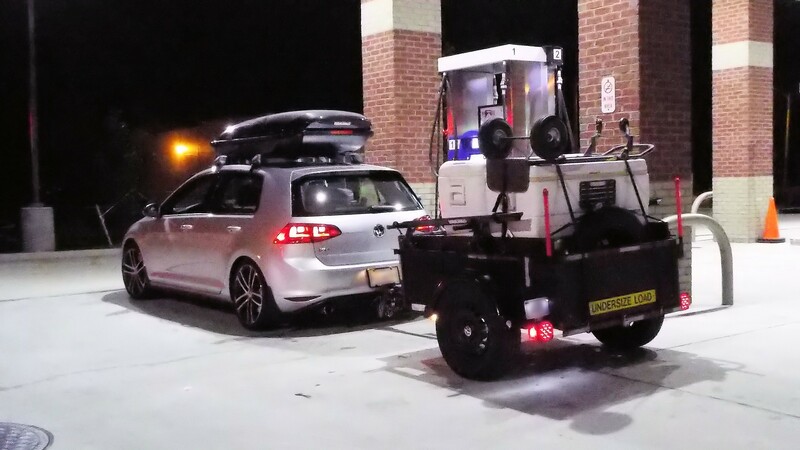 I was torn between buying an enclosed cargo trailer vice an open utility trailer when I was first shopping 20 years ago. Since then, I’ve gotten a lot of use out of my baby trailer and its predecessor, carrying both liquid and dry loads. 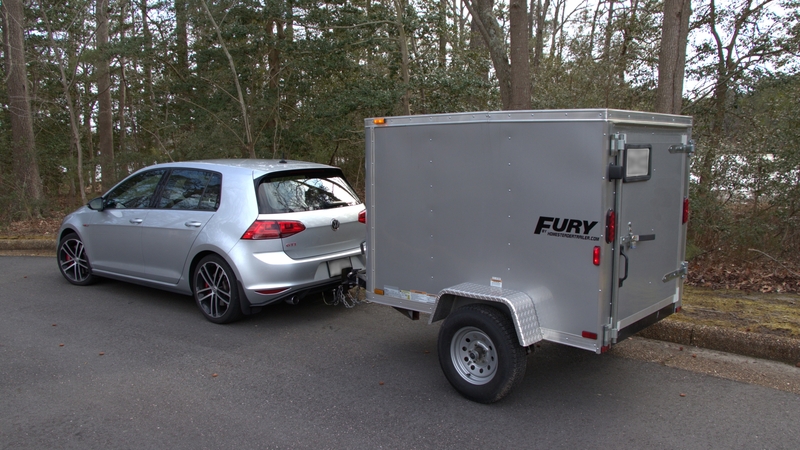 Enclosed trailers are both heavier and more expensive, so buying a utility trailer was an easy decision. However, I found myself to be slightly limited in what I could haul, especially in foul weather. I added a lid to my baby trailer. It limits the height of a covered load to 18 inches, plus any weather-proof items I don’t mind carrying on top of the lid. The box is not watertight, so carrying wet items or leaky water coolers is okay since water can quickly drain or evaporate. I wouldn’t carry wet loads in an enclosed trailer since they’re sealed better. I had been on the fence when choosing between a 4×6 and a 5×8. A 5×8 is obviously heavier at ~900 lbs or more, but it’s also taller and more of an aero-killing wall behind the car. A 4×6 lacks the floor space I want for a possible camping trip, but it weighs just 600 lbs and is slightly more aerodynamic. My decision was easy when I saw this silver 4×6 with a “For Sale” sign during a leisurely Saturday morning highway drive. 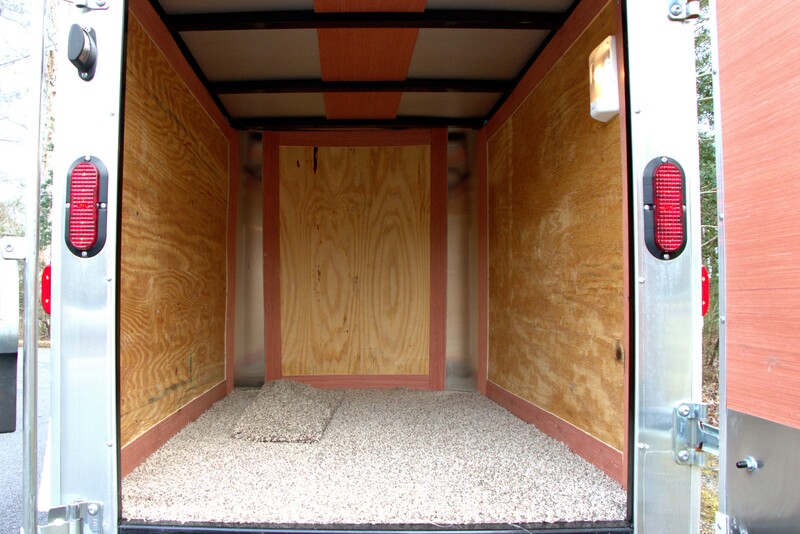 The trailer was only a year old, very lightly used, and even had a layer of carpet on the floor. It was substantially less expensive than buying new (which usually requires a special order in this size), so I bought it and towed it home after finding a 2-inch ball. The trailer already has LED tail lights, so that’s an upgrade I don’t need to pursue. It also has rear side marker lights that are at driver’s eye level, so backing at night shouldn’t be too bad. The paint quality is very thin, weak, and blemishes easily. I will wrap the trailer to match my car. A wrap is not too expensive and is probably more durable than paint. I may add a camper door and ventilation if I decide to camp. I’ve had my eyes on a destination for nighttime photography, but don’t want to tent camp. 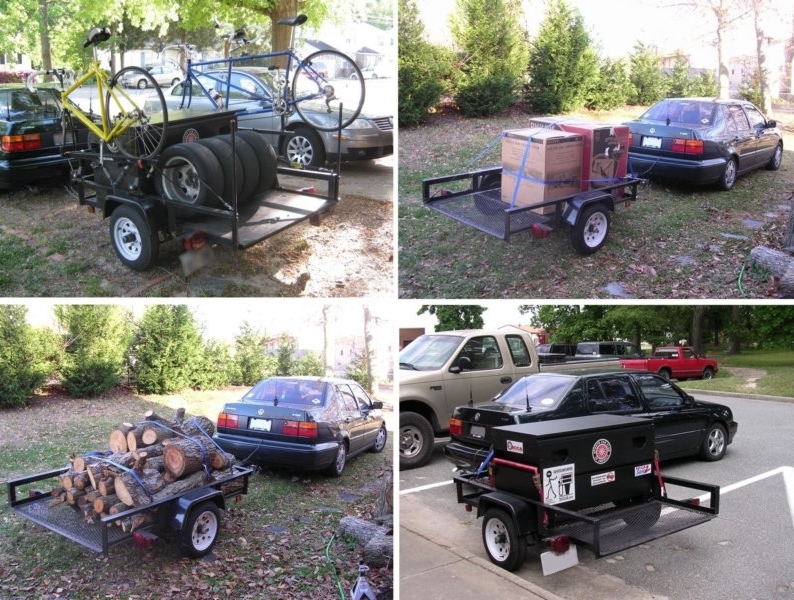 This trailer may help resolve that challenge. I’ve also added E-Tracks and foam padding beneath the existing carpet. The E-Tracks give me tie-down flexibility and the padding will make working or sleeping inside a little more comfortable on my hips and knees. That’s about all I can think of for now. I’ve shared some photos and specs below.